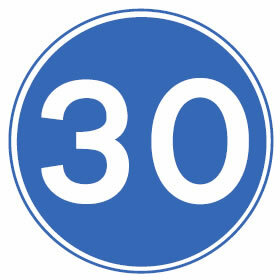 In order to pass the UK practical driving test, it is of course essential to understand all the various road signs. 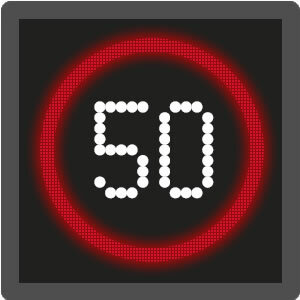 Part of the driving test routes contained within your driving test will involve many mandatory speed limits and may possibly have advisory speed limits. Although easily distinguishable from each other, those that do not understand their various meanings could hinder their chances of passing. Detailed below are mandatory speed limits (those that must be obeyed by law) and advisory speed limits, (those put in place due to hazards. 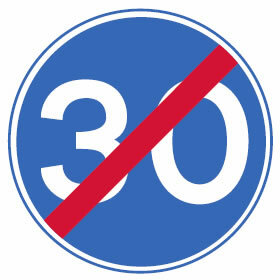 A likley road for a minimum speed limit is a tunnel. 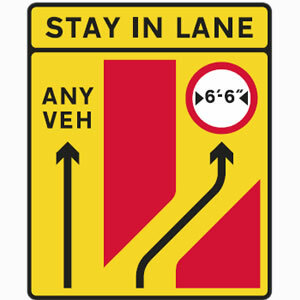 Minimum speed limits are mandatory. 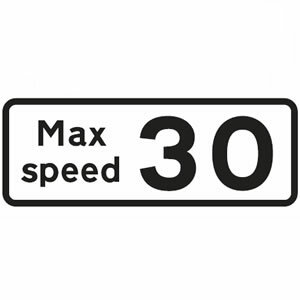 For further information, see minimum speed limits and driving too slow for the laws on driving too slow and how it can affect the driving test. 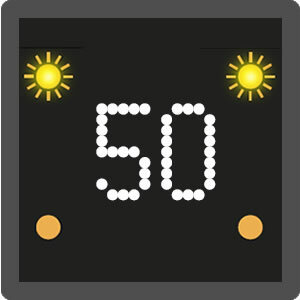 Advisory speed limits are used on a stretch of road that is potentially hazardous. 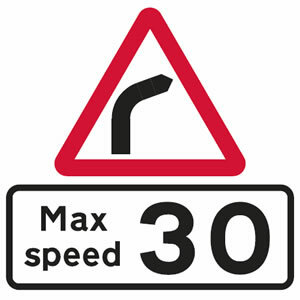 The location of an advisory maximum speed limit sign varies, but can often be seen on bends. 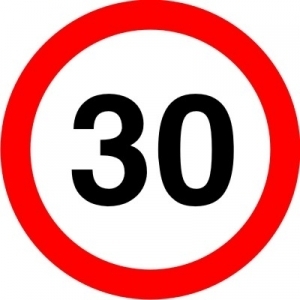 As the advisory speed limit is not contained within a red ring, it is the motorists choice of whether they obey the advised speed limit or not, providing they do not exceed the maximum regulatory speed limit.